A while ago, I did a post with tips on writing well-rounded characters. I decided to follow that up with another post, featuring three more tips on how to flesh out your characters and make them just like real people. We are all more than the sum of our parts, and your characters should be, too. There’s always a why behind the what. Nobody does anything for just “no reason,” even if it seems like it at the time. Even something as innocuous as stopping for ice cream on the way home from work just on a whim has a motivation—you wanted ice cream more than you wanted to get home in a hurry. Where the plot of a story is concerned, character motivation is a very important feature. Actually, I could devote an entire blog post to this (and many talented writers have already done so). But in short, your characters, major and minor, have a reason for doing what they do. The decisions that characters make is the main thing that drives the plot. For an example, I’ll use Dumbledore and Snape from the Harry Potter series. (I must insert a quick confession: I’ve actually read only the first three books. But assuming that the movies were at least slightly accurate to the books, I feel comfortable in using these characters for this particular point). Both Dumbledore and Snape spend the series protecting Harry. They go about in radically different ways, and that stems primarily from their motivation. The end goal for both men is the same: protect Harry. The reason? So that he can defeat Voldemort. But each man has a very different personal motivation for devoting the rest of his life to protect the boy who lived. Just in case you haven’t read the books or seen the movies, I won’t give away all the details; but it’s apparent right from the beginning that Dumbledore and Snape have very different motivations for everything that they do. This can be related to motivation, because the way that character responds to challenges and struggles is what makes a plot. A story with characters who never go through troubles, never get stretched or challenged, and make no decisions because they have no motivation, is not a story at all. There are basically two types of challenges (in stories and in real life): self-imposed struggles, and externally-imposed struggles. A story about a man who loses his wife could be told in many ways: did he lose his wife because of his stupid financial decisions and his refusal to curb his temper (self-imposed struggle), or because his wife was killed in a plane crash (externally-imposed struggle)? In the His Dark Materials series by Phillip Pullman, the characters all become involved in the plot in different ways. Lee Scoresby finds himself involved in a multi-world war (the struggle) simply by doing a quick helpful deed for a strange little girl (his motivation—kindness and a desire to help out someone in a rough spot). The character of Will Parry becomes involved in the war (the struggle) because he is on a quest to find his father and will stop at nothing to get answers (his motivation). Because the motivations of these characters is different, they respond to the various challenges and struggles in different ways. They also are faced with their own set of individual struggles (some self-imposed, especially on the part of Will), apart from the war that is the overall plot of the series. 3. Whose head are we in, anyway? This is sort of a point of view tip (which I blogged about here). But as it relates to characters, the point of view or perspective can be used as a tool for the development of characters. If a story is being told in first person (narrated by I) or limited third person (he or she) then the reader can learn about the character’s quirks, faults, motivations, and decisions through interior monologue as well as external actions. Characters who are not narrators of the story can only be developed through their actions and dialogue, as presented by the narrating characters. This doesn’t mean that non-point of view characters are flat or lacking some way—it just means that the author must chose a different way to develop the character. I could use most any story for this example, but I’m going to use Ruse, a short-lived comic book series that probably few people have heard of or read. 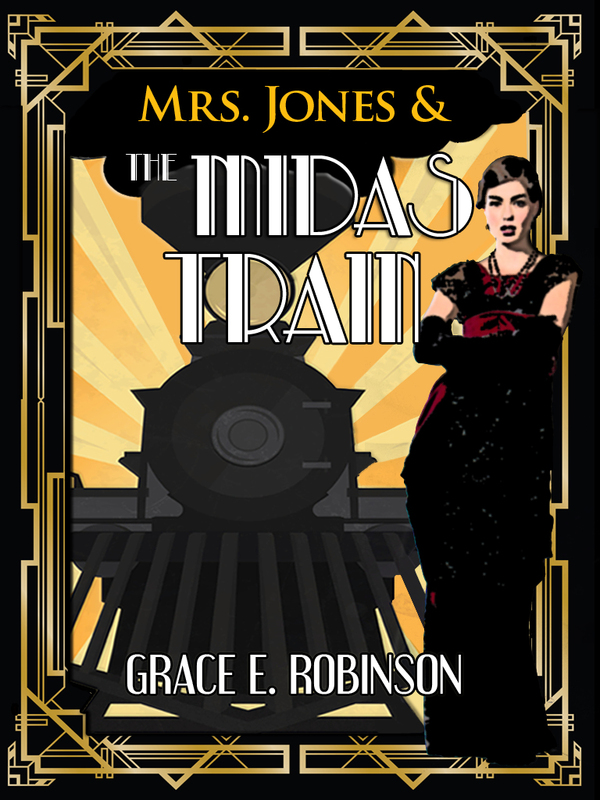 It was a Sherlock Holmes-esque sleuthing story, set in a steampunk Victorian world. The two main characters are Simon—the detective, and Emma—his assistant and the narrator of the story. Even though the story is told from Emma’s point of view, complete with her inner musings about Simon, the two characters develop equally well throughout the series. Simon is a well-rounded character because of all of the points that I’ve covered in both of these posts—his quirks, his strengths and weaknesses, his motivations, his response to struggles. Emma’s thoughts about Simon contribute to this, because she is constantly second-guessing him and wondering about his actions. As a narrator, Emma shares her thoughts with the reader—but not every thought. She has secrets of her own, which Simon often figures out just as fast as the reader does. Simon has secrets too, and towards the end of the series, the reader feels that they know Simon perhaps better than Emma does—specifically because of her inaccurate interpretations of his actions and motivations. Emma’s quirks, weaknesses, and motivations are revealed as she reluctantly divulges bits and parts of her secrets to Simon (and the reader). Simon’s quirks, weakness, and motivations are revealed as Emma interprets them through her own personal filter. The writer(s) of this series used this limited point of view narration to develop two very strong characters in two very different ways. Please share your thoughts! Any other tips or ideas about developing three-dimensional characters? I think the character’s native setting (not necessarily the one they currently find themselves in) is important to know. Different social mores, mannerisms, patterns of speech- even pop culture references. (In Avengers- the movie- Captain America’s triumphant announcement that he understood the flying monkeys reference.) Holmes from Victorian London is going to be a different character than Sherlock from 21st century London, even if their base personality is the same.